Homework is given out on a Tuesday and should be returned every Friday. The children get spellings as part of their homework and these should be practised in preparation for the Spelling test on Fridays. The children access learning websites as part of their curriculum learning. The following link can be used at home to aid your child's learning. You will find their log-in details on the front page of their homework books. 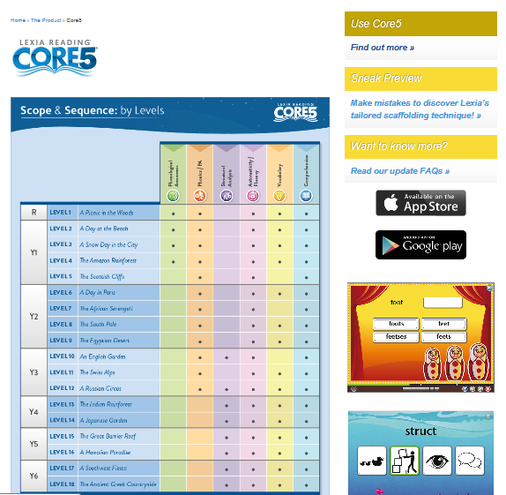 You can also download the Lexia Core 5 Reading App onto iPad and Android devices. The children can then access this app at home. Their log-in details can be found in the front of their homework books.